Scripture portrays marriage as the foundational relationship among humans. As significant and joyous as this event is the emotions and schedules surrounding the event can be overwhelming. Couples must carefully prepare for this lifelong commitment. It is by the design of the Creator that marriage, as an institution, proclaims the higher mysterious beauties of God's mercy and love. 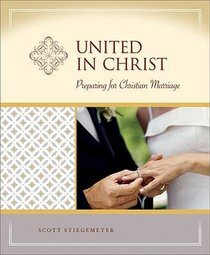 About "United in Christ (Milestone Series)"